Located in Goslar Rural District, this hotel is within 9 mi (15 km) of Goslarer Rathaus, Goslar Imperial Palace, and Mines of Rammelsberg. Gustav Adolf Stave Church and Marktkirche St. Cosmas und Damian are also within 9 mi (15 km). Located in Goslar Rural District, this hotel is within 9 mi (15 km) of Goslarer Rathaus, Goslar Imperial Palace, and Mines of Rammelsberg. Marktkirche St. Cosmas und Damian and Gustav Adolf Stave Church are also within 9 mi (15 km). 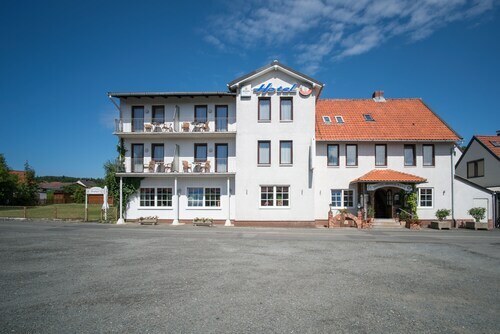 Nestled on the beach, this Goslar Rural District hotel is within 9 mi (15 km) of Gustav Adolf Stave Church, Goslarer Rathaus, and Goslar Imperial Palace. Mines of Rammelsberg and Marktkirche St. Cosmas und Damian are also within 12 mi (20 km). How Much is a Hotel Room in Langelsheim? Hotels in Langelsheim start at per night. Prices and availability subject to change. Additional terms may apply. Want to roam in Harz? Desire a place to relax? Travelocity contains a great range of hotels and rooms. Travelocity customers currently can access about 11 excellent accommodations within a 6-mile (10-kilometer) radius of Langelsheim's heart. A good option amongst only a small number of Langelsheim hotels in the vicinity of the centrally located sights of Langelsheim, is the Berghotel Wolfshagen. 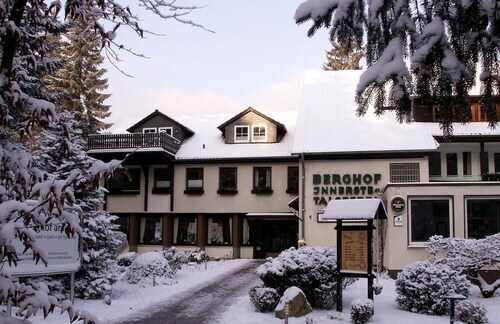 One of the very few budget-orientated hotel choices in Langelsheim is the Hotel Berghof Am See. 18 miles (29 kilometers) outside of the heart of Langelsheim, you will come across the Rilano 24 7 Hotel Wolfenbüttel. Alternatively, the Braunschweiger Hof is about 10 miles (17 kilometers) away. 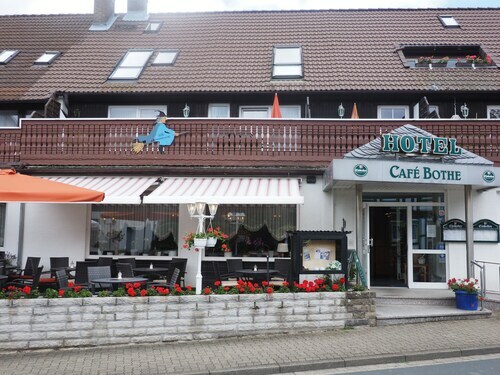 Alternatively, make a reservation at the Harzhotel im Tannengrund or the Hotel & Restaurant Zum Röddenberg. When you've got the time, adventurous travelers could discover the other scenic and cultural delights of the Saxony-Anhalt region. Saxony-Anhalt offers forests and rivers, and interesting sites are castles and old towns. Wise travelers in this pocket of Germany love snowboarding, skiing and cross-country skiing. Goslar is 4 miles (7 kilometers) to the southeast of Langelsheim and features Goslar Imperial Palace and Mines of Rammelsberg. When you want to visit Goslar, check out the Altstadt Hotel Gosequell and RAMADA Hotel Baeren Goslar. For another option, stay in Sorge, 25 miles (37 kilometers) southeast of Langelsheim, where you can choose between the Hotel Tannenpark and Landhausferienwohnungen Am Brockenblick. If you're staying in Sorge, keep a day to explore the Grenzlandschaft and Museum Sorge and Ring der Erinnerung. Ensure yourself a fix of sport by making the voyage to HDI Arena, which you will find 40 miles (63 kilometers) to the northwest of Langelsheim. Book accommodation nearby to the action at the Cityhotel Königsstraße or the Sheraton Hanover Pelikan Hotel. If you are flying through Hannover Airport and want to find a room in the area, why not consider Leonardo Hotel Hannover Airport or Maritim Airport Hotel. Apartment With Spacious Balcony in a Beautiful Mountain Location, Recovery all Year!